We are only one week away from the end of our Create28 series and we've been having so much fun! We hope that you have been playing along and enjoying yourself as well! Here are this week's awesome looks! 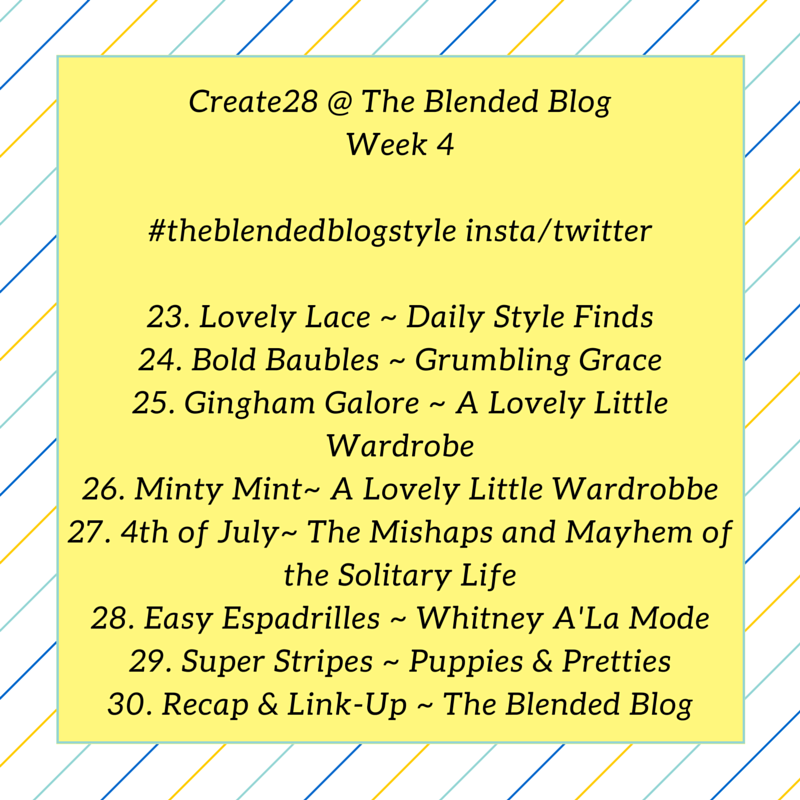 On Thursday of last week, Katie from The Mishaps and Mayhem of a Solitary Life shared her Sunglasses Style with us! 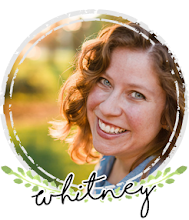 She has several super-cute pairs and posed the question, "Do you buy fancy, pricey shades or are you more of an inexpensive sunglasses kind of a girl?" Deena of Shoes to Shiraz is the epitome of a Ballpark Babe! She showed us what she wears and brings to her kids' games and she created a stylish outfit to support her team. Go Jays! Shaunacey from Simply Shaunacey talked about her Easy On the Go Style. As a busy mom, Shaunacey has to wear something comfy but she manages to look oh-so-cute, too! Nothing beats a pair of shorts and a detailed top for easy summer style. Joy of Quilty Joy Joy talked us through her struggles with finding the perfect Chambray Shirt. She chose to feature a fun one with a little Western flare! Leslie from Once Upon a Time & Happily Ever After nailed her Pinned It and Did It look! She walked us through her process, created fun collages and showed us her final product! And our last look of the week is from Christy of RSquared. Christy showed us how to wear Mustard Mania during the summer months and even combined the color with the summer off-the-shoulder trend! 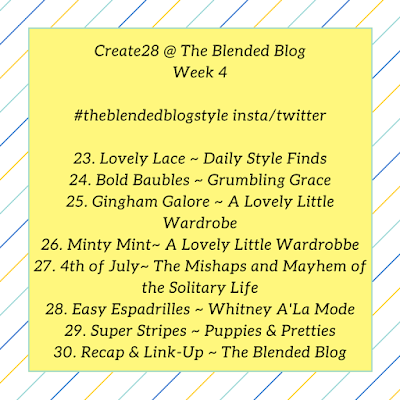 Make sure to link-up your Create28 looks below and on Instagram (#theblendedblogstyle)!